By Community Chickens on November 19, 2010 Visit Community's Website. The shopping season is upon us again. Everywhere you look there are advertisements for things. Thing we need, things we must have, things we can’t live without, things, things, THINGS! The stuff of life can clutter our closets, our basements, our attics and worst of all, our brains. 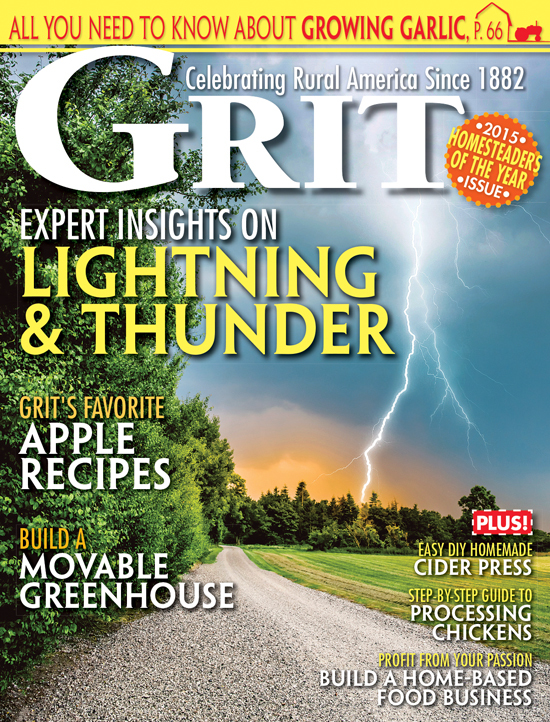 It can spill out into storage units, barns and out building. Watch the television for long enough and you’ll see that there are even things we need to organize our things, like storage bins, organizing units, and special hangers that allow us to cram more and more clothes into our closets. And while this post is essentially about collecting more “things,” and while I’m no better than any other pack rat out there, maybe we can take a moment to reflect on what went wrong, and why are my closets so full? The part of that question that’s relevant to collecting egg baskets is in the thought that maybe it’s not the quantity of things that we acquire, but the quality. For example, think about the things you use everyday, think about your broom. If it’s anything like our old broom, it’s a clunky plastic thing, bright blue with an even brighter manufacturer’s label plastered across the handle. The white plastic bristles have soaked up every stain that my family has drug it though over the past years, and the rubber foam handle has slowly started to disintegrate so that each time you sweep, you also have to sweep up the bits of handle crumbs. In short, it was ugly, not something you’d want to display, or sit quaintly in a corner. There’s no amount of craftsmanship, style or quality, so we shove it into the closet, with the other ugly cleaning supplies. 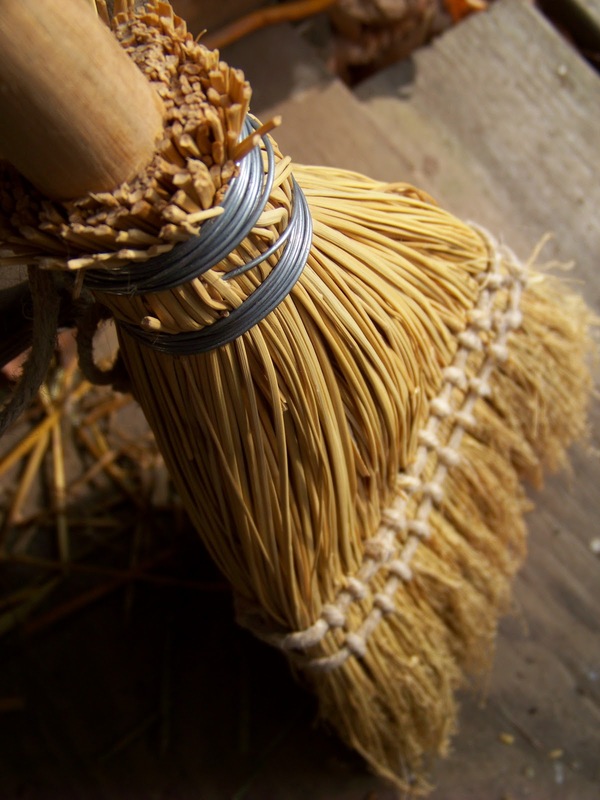 Finally, our old broom died, when the broom head cracked free from it’s handle and no amount of glue could save it. Around the death of the broom, we had visited a historic village in our area called Crossroads Village. At the village, there was a broom weaver who wove traditional broom corn into beautiful hand crafted sweepers, sadly I don’t remember the artist’s name. We picked one up with great enthusiasm. Now our broom does not take up space in our closet, but is proudly displayed as a functional work of art. Another example would be my grandmother’s hankie collection. 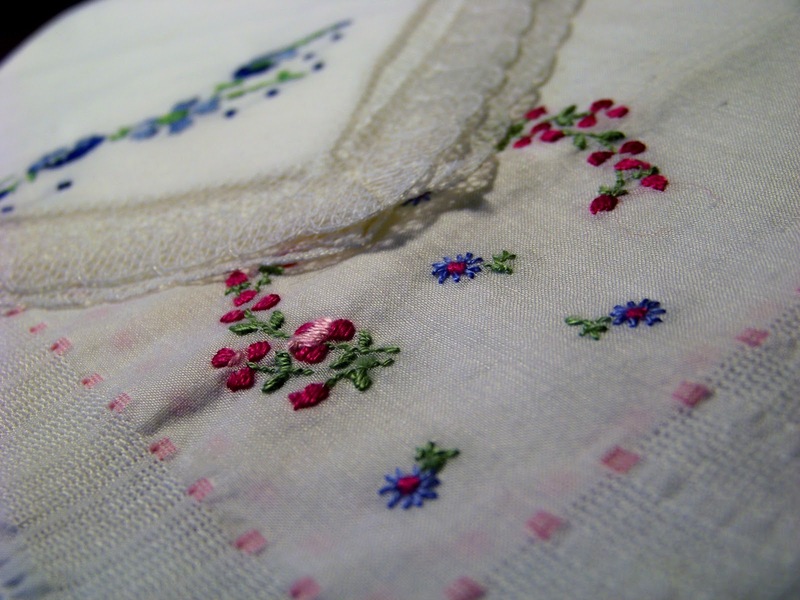 My grandmother has a beautiful collection of embroidered hankies, some she embroidered, some her mother, others my great aunts. They are all past on now, but each of their hands touched the colorful threads that create the tiny embroidered flowers that adorn these objects that you use to blow your nose. And while they are too delicate to blow your nose on these days, there was a great amount of thought and care that was put into making such a useful item so beautiful. How many times have you sat and admired the craftsmanship in a disposable tissue. Most of us use the tissue, crumple it up and throw it in the trash without another thought. It’s the beauty in life that slows us down. If something isn’t interesting, it’s hard to take the time to stop and look at it, there’s little to appreciate in a plain white tissue, other than the convenience aspect. 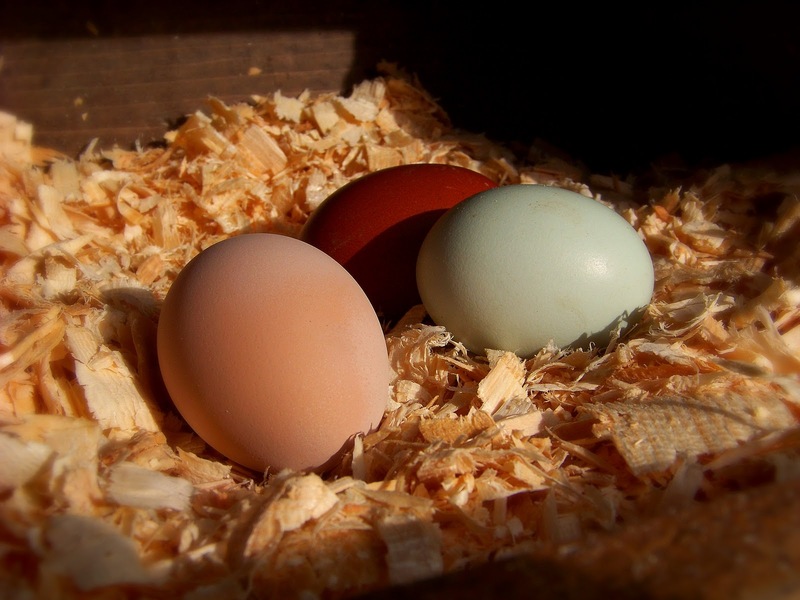 So, about egg baskets … The excitement never falters when I go down to the coop and find that perfect little clutch of eggs. It’s something that I hope I never get used to. (Our chickens are funny, we made them twenty one egg boxes, and they only use a handful of them, monkey see monkey do.) When we started out with six chickens, I could easily carry the daily egg total in my shirt tails, but now that we have fifty, my shirt tails…well, they just don’t get the job done. My first egg basket was a gift from my mom, who was probably tired of all her cleaning buckets being filled with eggs each day. 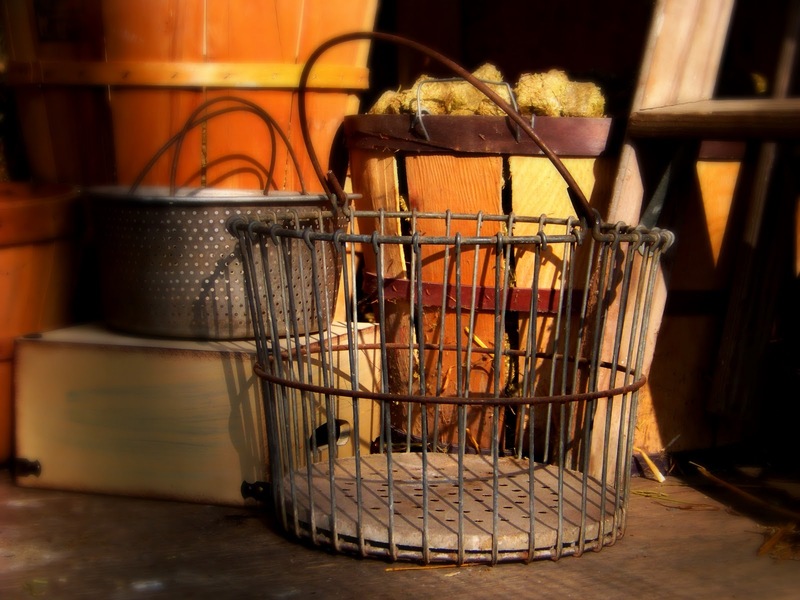 It was a dull, wire basket shaped into a chicken, slightly bent, a little rust, but perfectly wonderful! I received another one as a shower present and have since been finding them at barn sales, thrift stores and flea markets. Each has it’s own unique character and ambiance. I love the way the open wire design displays our colorful eggs, and this useful tool has become an item of decoration. There are many types of egg baskets that can be found. Some have a globular shape, like a pumpkin, others are the more traditional bucket shape, but are sometimes made from chicken wire, which gives them a more “chicken” feel. Quite a few have a nifty closure at the handle so as the handles are gathered a series of coiled wires entwine to close off the opening. Ingenious! My mother-in-law just recently gave us these baskets that were used on a working family farm that is sadly no longer in operation. These industrial sized baskets were multifunctional as the eggs were placed in the basket then dipped in cleaning solution, and left to dry. but also enjoys working with natural materials in her baskets. and has five books published and hundreds of patterns. 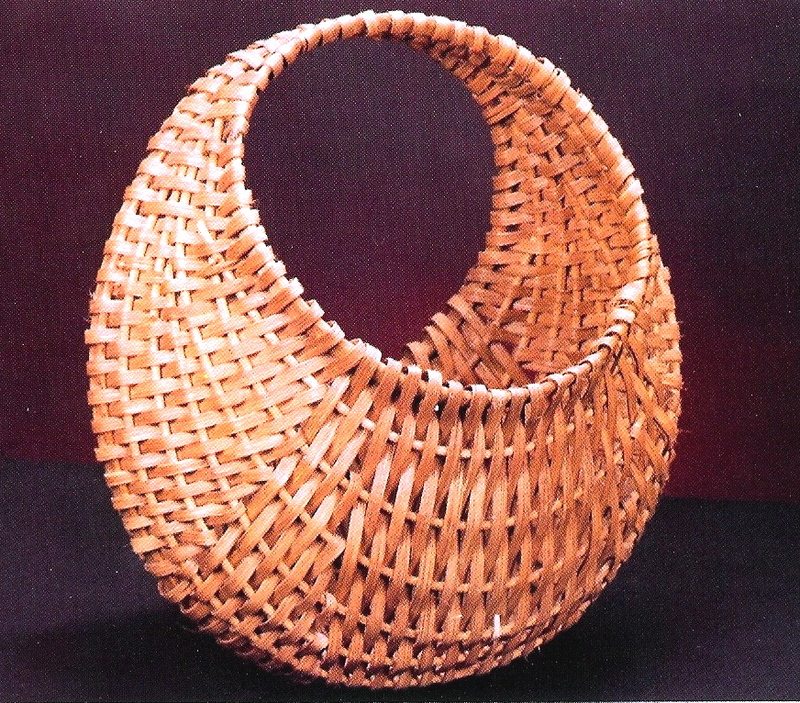 Another interesting basket that is “chicken” related, is the ribbed hen basket. I have seen these beautiful baskets in various shops and homes and always thought they were wonderful. I never knew their true purpose until one day when I was picking up some basket weaving supplies at Atkinson’s Country House and I got to talking to Sandy Atkinson. Her supply shop is in a beautiful barn filled with every kind of reed, handle, and basket making supply imaginable. The entire ceiling is filled with her glorious baskets and each one made by her own skillful hands. We got to talking about chickens and she took down a beautiful ribbed basket, plump and stout and told me a story about the ribbed hen basket. This basket was used not only to collect eggs, but to carry a broody hen to a neighbor farmer who needed his chicks hatched. The hen would nestle into this particularly encompassing shaped basket, and it wouldn’t break her broody fever during the trip. Sandy generously provided this picture of one of her beautiful hen baskets. Thanks, Sandy! The truth is, when it comes to egg baskets, I love using them! I am carrying on a bit of history by giving an old item back its purpose. There is something satisfying that comes from using an antique tool that is truly meant for a specific task, not to mention romantically quaint. Like tying my mother’s apron around my waist to make dinner, or swirling a golden strand of honey around a hand turned wooden honey dipper. 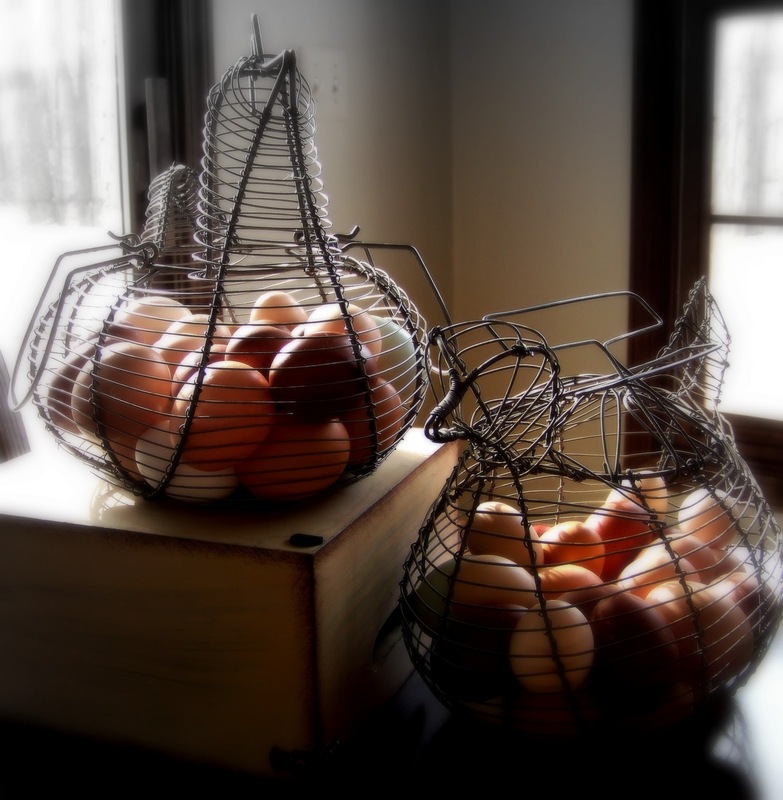 When it comes to our eggs, I must confess, I saunter down to the coop, swinging my arms, chicken shaped egg basket in each hand, with thoughts of Anne of Green Gables rolling through my mind. The chicken baskets are not just a holding device, they are a state of mind. They take the mundane out of life, and give a simple chore a splash of character. A chicken basket is to eggs, as fine china is to a well set table, it’s not just a place to eat your food, but an experience worth remembering. Visit Jennifer’s website at Iron Oak Farm.